*this site is best viewed using Internet Explorer! Your #1 place for quality Rurouni Kenshin humor on the web! Konnichi wa! Welcome to MY site! In MY site there are a bunch of silly stuff. Example: Misao-chan's Ninja Files! Where there are a bunch of little collages, and photos I picked up! Oh! By the way... the pics of ME is courtesy of the Misao the Weasel Girl Shrine! Arigato! 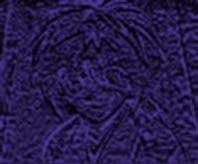 In Misao-chan's Ninja Files! I put in little funny pics and collages! Attention! Side Note for 9/00!! ACK!!! Ohkay!! I'm gonna start adding stuff! Uh... Just wait a little while, I just put this note here, so that I can give you a notice for a update! But remember I have to keep up with my training, so don't expect something BIG, kay? So.. Come back soon!! HEY! Do I see a SMILE, Battousai?!?! Uh... that cookie looks.. kinda good. What is THIS!?!?! Tomo Won Kanobi!?!? Battousai and Tomoe at Edo DisneyLand! 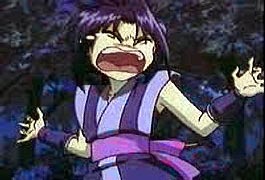 HIMURA: "Maa maa, lets stop making fun of people.."
ME: AHHHHHH!!!!!!! I guess I'll see ya nice people, later~! WHOA! AH! Lemme GOOO......."
AHHHH! SHOOT!!!!! I am so BAKA! GOMENASAI!! I haven't updated since 1878! Please just give me a few days to make up excuses-- I mean... Well in the meantime your Super-Cool Misao-chan has won yet another award!! YEE-HOO! (Arigatou Ka0ru-san for submittin' my peji for this super-cool award! ^_^) Here is the award! THANK YOU THENTAVIUS-SAN!!! YOU'RE SUPER-SUGOI! (You can get this elf's LOVELY award over HERE. OH! THANK YOU FOR THE APPLAUSE! THANK YOU, THANK YOU! OK, now stop. I WON The Funniest Anime Page Award!!! WOO-HOO! HA! IN YOUR FACE! Hmmm.... What have we here? AHHHHHH! Where the heck did Ka0ru-san get this pic?!?!?!?! WA HA HA HA HA HA HA HA!!!!! Poor Ka0ru-san. She has got her sights set on a gay man. How am I gonna break this to her? HIMURA! How could you do that to Ka0ru-san!?!?! WHAT IS GOING ON WITH HITEN MITSURUGI RYU?!?!?! Wanna see some old funnies? Turn the peji!!! Congrats! You are victim since Dec. 27, 1998! Any questions?,comments?, praises?, love letters?, challenges? Send it to me!!! You better send something or else you will feel the wrath of...Kensatsu Tobi Kunai!!! site is owned by Misao-chan. 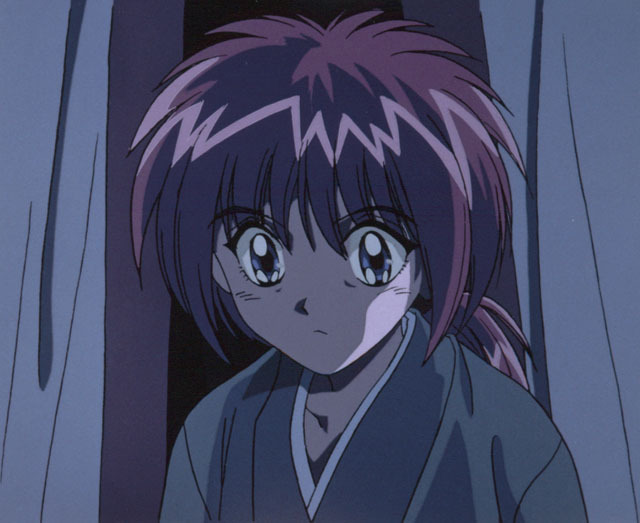 (c)1998-99 This Rurouni Kenshin site is owned by none other than the great Misao-chan! 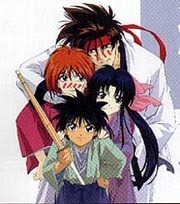 (c) ALL things that have anything to do with Rurouni Kenshin belongs to Nobuhiro Watsuki-sensei and the SONY Entertainment Corp.
E-mail Misao-chan if you have any questions, comments, and/or praises. * if you would like to use any of the images from this website, please contact Misao-chan.